This is a beautiful 3 bedroom, 2 bath home on a large lot with natural shading citrus trees, pool, patio, two storage sheds and a 2 car garage! 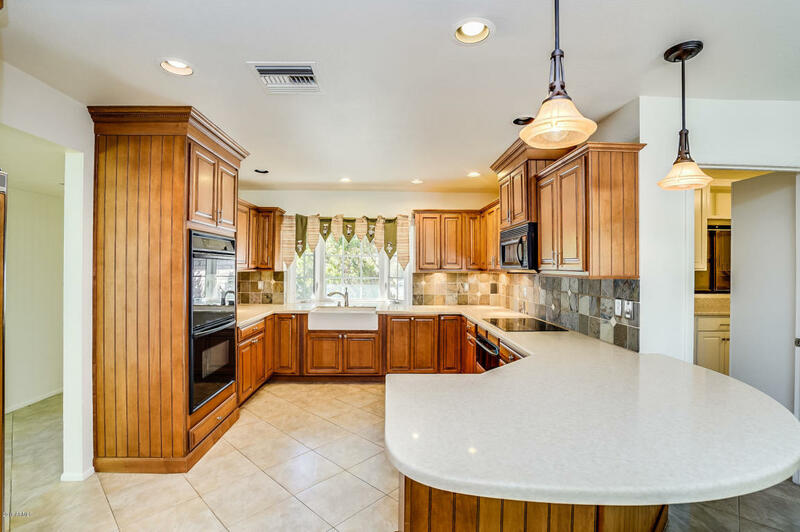 The home features tons of kitchen cabinet space, breakfast bar, double ovens, corian counter tops and ceiling fans throughout! It is also great for entertaining with a large formal dining room. The master bedroom en suite offers a double door entry as well as ample closet space! The home has a large living room and family room with a wood burning fireplace. Laundry room has loads of cabinets and full size front loading washer & dryer! Arcadia doors open to covered patio with a built in BBQ! Located minutes to Stonecreek Golf Club, Paradise Valley Mall and tons of great dining and shopping!